How can Axiom help you? What's new in our store? 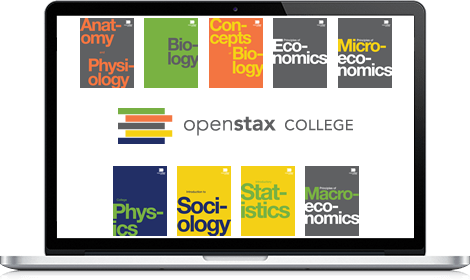 You can purchase OpenStax digital textbooks from our store. Add it to your library alongside other documents, annotate it using a pen or highlighter, add sticky notes and share the annotations with others. Whether you are a student, a professor or a professional, Axiom has a use case for you! We love hearing from our customers! Please let us know how we can enhance existing functionality for you or if you would like us to add new features. Also, don't hesitate to ask any questions. We are here to listen and happy to help! © 2015 Axiom Netowrks Inc.
Save your time and energy from searching through your research notes – let Axiom do the work for you. In Axiom, categorize and label your notes as you review your documents and media files - you define what labels to use (examples: date, topic, keyword). Recall all your annotations by category label and share your research with others. 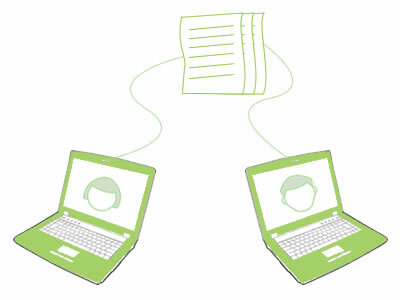 Sending documents to multiple reviewers can delay feedback or create confusion by conflicting edits. Axiom provides one central location with the tools for reviewers to mark-up documents. 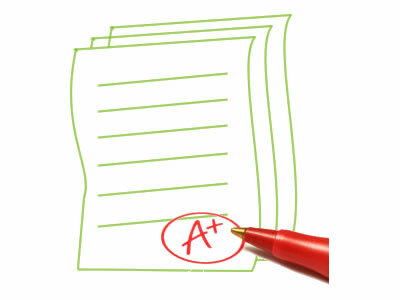 Reviewers can easily annotate and provide feedback without the hassle of downloading and resending documents. Journal publishers may use the Axiom platform to supply journal articles to their customers. Libraries can also provide Axiom as a service to the students and researchers. Students and researchers add these articles to their library without having to download the digital documents. 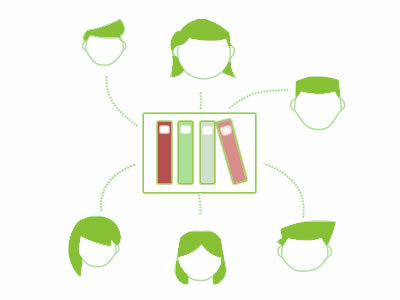 Digital textbooks and reference materials from other sources can also be added to the bookshelf. 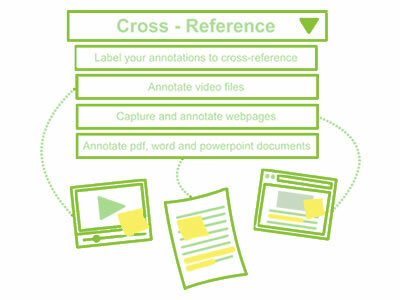 With the ability to label and cross-reference across all types of documents, information is only a click away. Axiom allows Product Managers and/or Documentation Leads to set up different shelves for teams allowing for simultaneous review across departments. Document annotations and changes can be viewed by Product Managers and/or Documentation Leads, which helps over product progress tracking. Students are looking for ways to mimic their paper-based workflow. Unfortunately, the ability to mark-up textbooks by highlighting and add sticky notes is not always available in the digital format of the textbook offered by the publishers. Axiom offers a virtual bookstore which allows publishers to offer any digital textbooks within a single platform with tools for students to annotate, as they would on a printed textbook. Getting students to submit assignments has never been easier. Using Axiom, Professor McDonald creates an empty shelf for his Sociology class and labels it "SOC201 – Assignments." He then adds the assignment document to this shelf and shares the shelf with all students enrolled in his class. Students, can then retrieve the assignment and upon completion, submit their respective papers by simply dragging their document onto the shelf owned by Professor McDonald. As the owner, the professor can see all the assignments that were submitted and use the annotation tools to for marking the assignments. 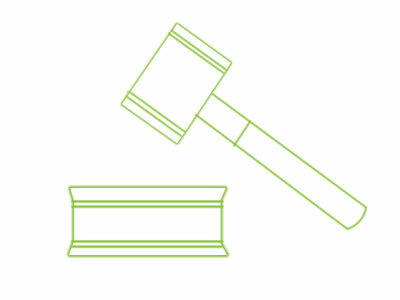 Make legal document exchange easier in Axiom. 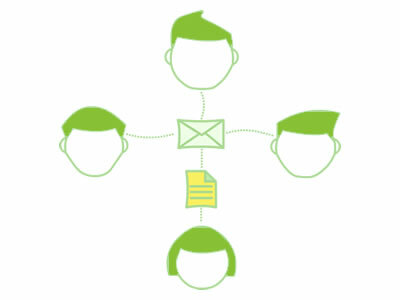 Document are in a central location and allow stakeholders to provide and review comments on one platform, ensuring version control and transparency. 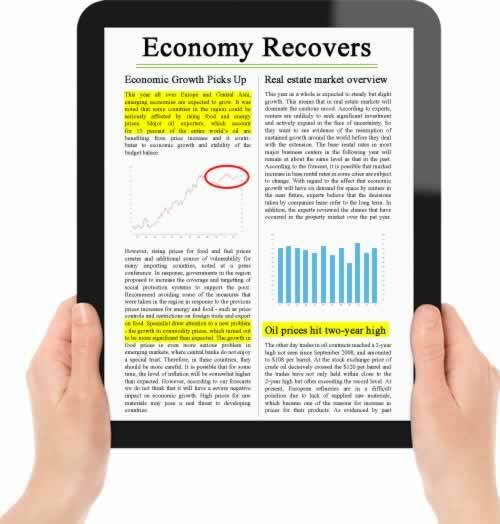 Comments and notes across different documents can be commonly labelled – allowing for quick referencing with a click.